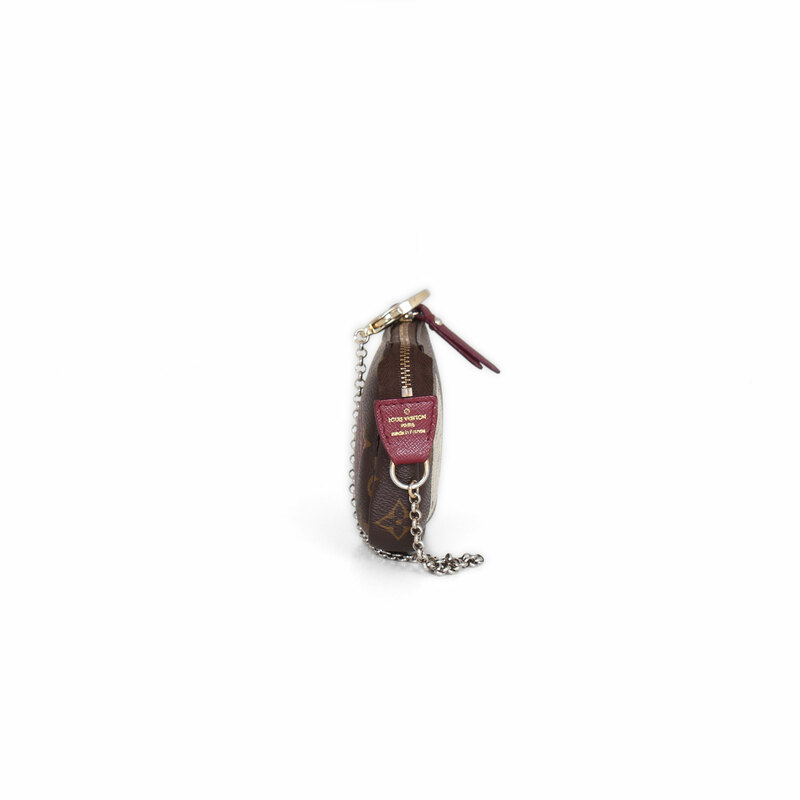 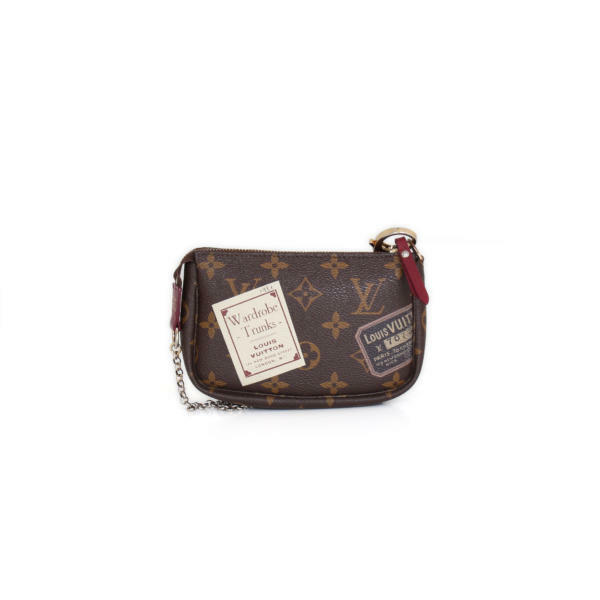 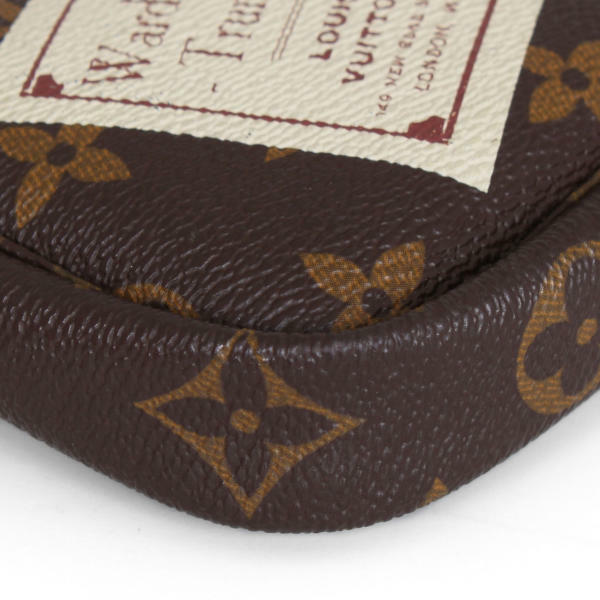 This Louis Vuitton Mini Pochette is a special edition of 2009. 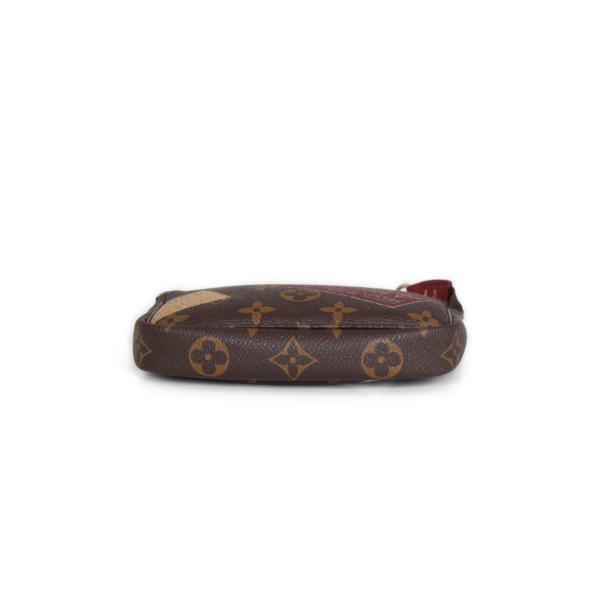 This is an excellent little bag to carry only the essentials of Louis Vuitton! 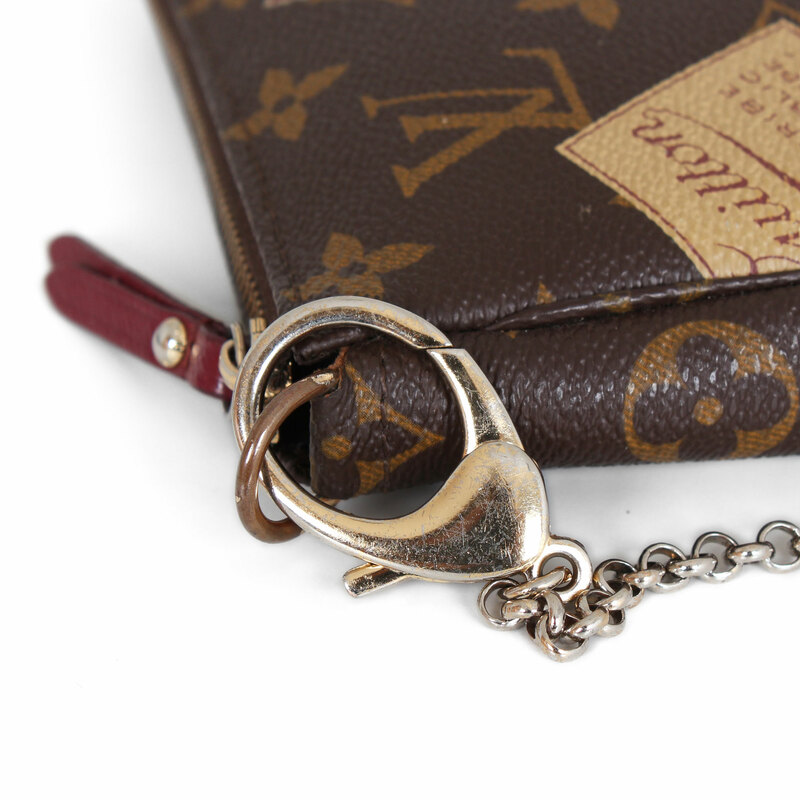 At CBL Bags we are experts in buying and selling luxury handbags from brands such as Louis Vuitton. 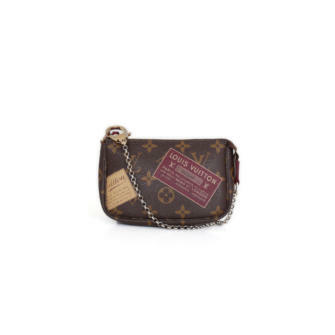 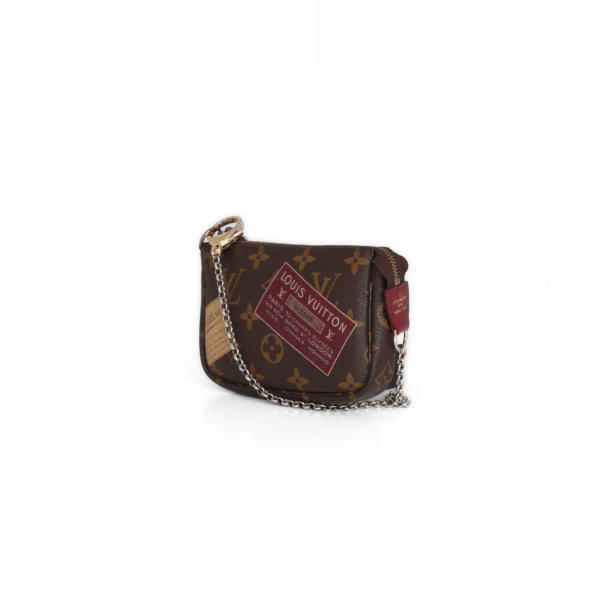 This Louis Vuitton Mini Pochette bag is made with the traditional Monogram canvas. This elegant bag is printed with illustrations of Louis Vuitton historical stamps. It consists of a short chain of brass in golden tone to carry the bag in your hand. 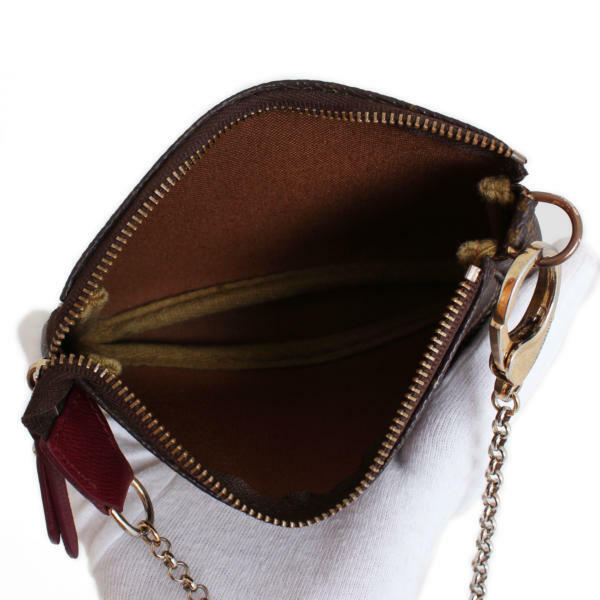 The top zip opens into a brown fabric interior. This practical pochette is perfect for storing beauty products and other basic items.